Don’t let the heat of the summer deter you from developing your knitting skills! 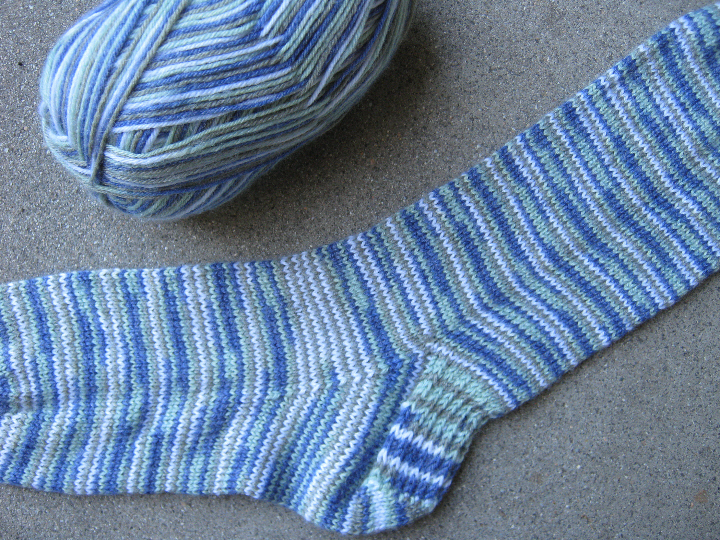 In just three hours, instructor Katie Swanson will teach you all you need to know about knitting socks by making one mini sock. The class is an intermediate level; come in to Twisted Knitters to sign up and pick up your Pre-Class Instructions. You will need either a DK weight yarn with size 6 double pointed needles (DPNs), or sport weight yarn with size 7 DPNs, or worsted weight yarn with size 8 DPNs. Come in and see the sample sock!